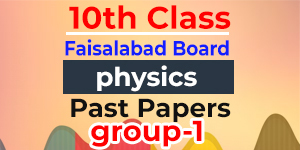 BISE Faisalabad is one of the oldest educational boards of Punjab and whole of Pakistan which was established in 1988. The current jurisdiction of BISE Faisalabad was first under the supervision of BISE Sargodha located in Sargodha. The jurisdiction of BISE Faisalabad is whole of Faisalabad division which includes Faisalabad, Chiniot, Toba Tek Singh and Jhang. The board conducts the exams of Matric every year. The students preparing for the 10th class exam under the supervision of BISE Faisalabad do look for the past papers of SSC part 2. 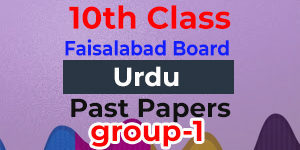 The past papers of 10th class of BISE Faisalabad are uploaded here and updated on the regular bases. Download the papers and make them your model papers so you could prepare for the exam in more effective way.